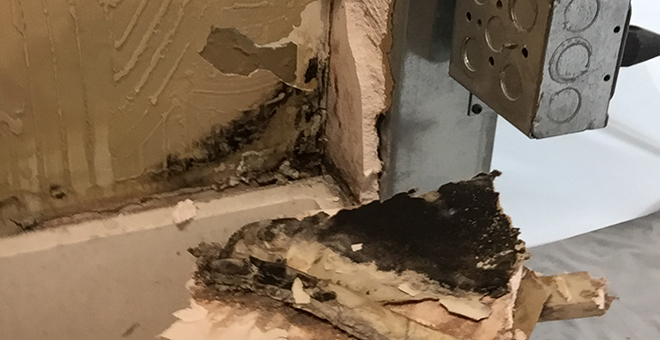 As with most issues with which RestorationHQ deals every day, mold is a very time sensitive and critical issue that needs to be addressed right away. 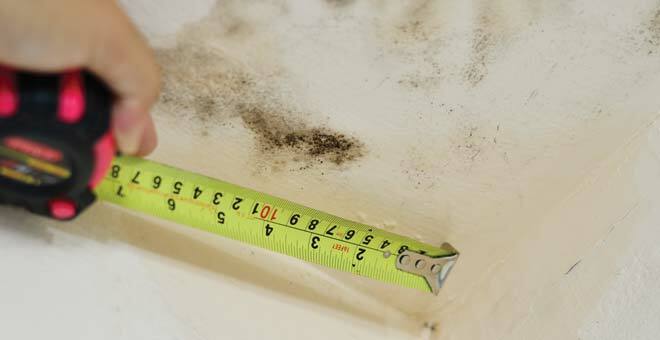 When your property shows visible signs of mold. When you or your tenants are concerned about air quality. RestorationHQ is an IICRC certified mold abatement contractor. 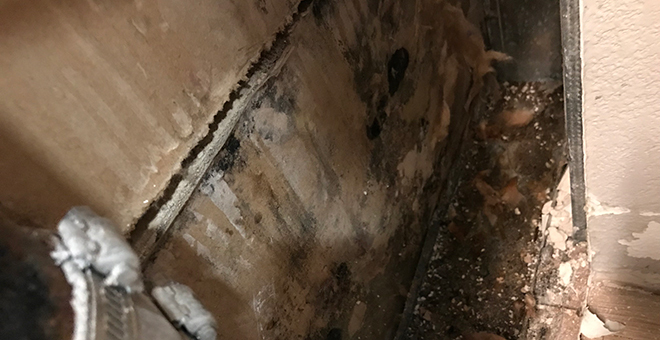 We are insured to take care of your property in the event of mold growth, and it is our job and goal to protect your property and those who spend time there. How do we protect your property and people? 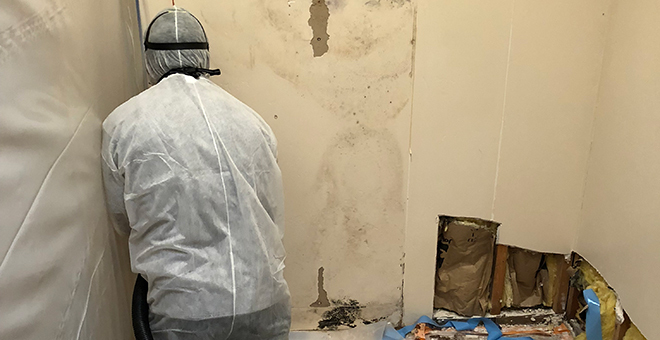 Clients experiencing potential or actual mold growth usually like us to walk them through the steps to restoration, so this is how RestorationHQ will restore your property in the event of mold growth. First, our certified technicians will conduct a mold inspection. Our inspections are complete and thorough—we won’t miss any affected areas or areas of concern. During our inspection, we will provide you with a scope of work and a competitive and fair estimate to remediate your mold damage. Following the discovery and documentation of the mold and mold-damaged items, our team will work to contain the affected areas. Our containments will be set up under negative pressure, which is necessary to eradicate the actual mold and mold damaged portions of your property. After all mold-affected materials have been removed, we will thoroughly clean the affected areas to ensure that the all of the mold gone. 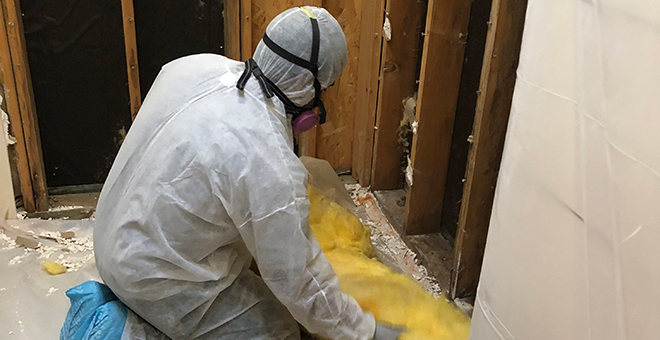 Once we believe that your property is ready for repairs but before the demobilization of the containment, we will test to confirm that your property is safe and that the air quality is once again balanced, as industry guidelines recommend. The testing is done by a third-party, independent, certified industrial hygienist (CIH) firm* and the samples are sent to a third party independent laboratory for analysis. 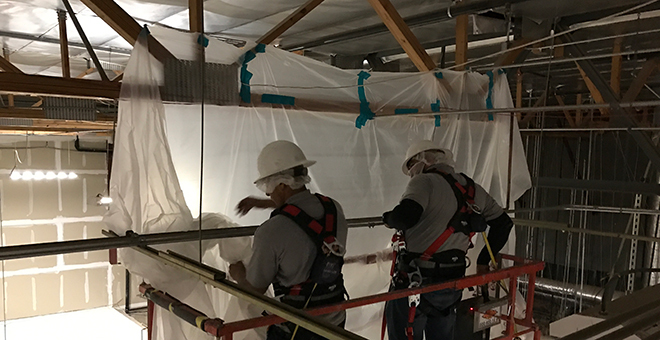 The CIH will tests both inside and outside of your structure, send the samples to a lab for analysis and delivers us documentation showing that air quality has been restored and the mold has been effectively removed. Clearance testing criteria also requires that there is no dust, debris, visible mold or wet material left in the workspace. Once we get the good news from the CIH, we begin with step number 4. When the “all-clear” goes through, we begin the reconstruction process, beginning with a detailed estimate and repair work schedule. Then, you can count on a fast-acting team to safely and efficiently restore your property to its pre-loss conditions. *Why does RestorationHQ test with a third party CIH? Mold removal and air quality is a sensitive matter. We believe that a third-party hygienist and lab will help avoid any conflicts of interest, as we are the organization performing the removal and remediation. 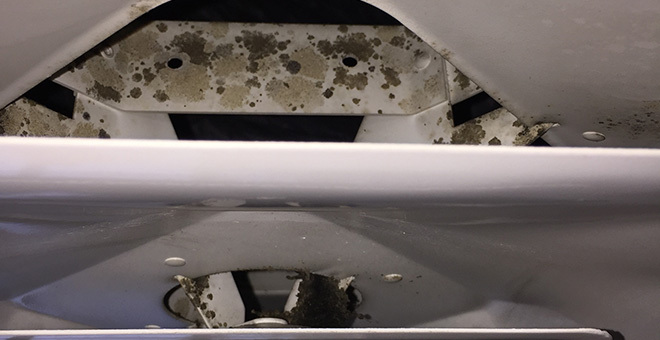 Mold and indoor quality is serious. Learn more about them both right here. Mold and air quality concerns can be serious, and while we hope you never experience it, we are here to help if and when it does happen. Please call RestorationHQ at 480-256-1453 if you think your property is unsafe.